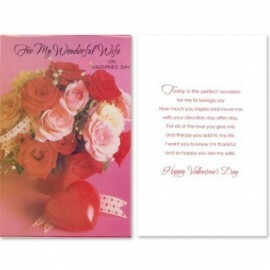 This rare set of cards, ''For My Wonderful Wife'' by Freedom Greetings features a bouquet of red, pink, and white roses with some tiny white flowers, white ribbon imprinted with small red hearts, and a large red heart decoration. Pink background. Inside reads in red font: Today is the perfect occasion for me to lovingly say How much you inspire and move me with your devotion day after day. For all of the love you give me and the joy you add to my life, I want you to know that I'm thankful and so happy you are my wife. 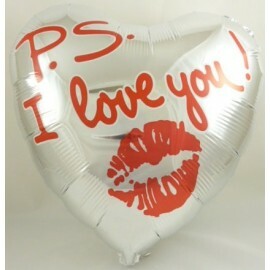 This "P.S I Love You" message balloon does not have an automatic sealing valve. 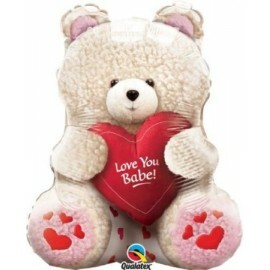 It can be filled with air so you can so it can be fixed to the wall or can be filled with helium so that it floats. This balloon will come flat and not inflated with either air or helium, you must inflate this balloon yourself. This balloon measures 18 inches approx across. 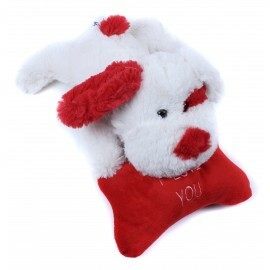 Ideal as a gift for Valentines Day or just to tell that special someone you love them! 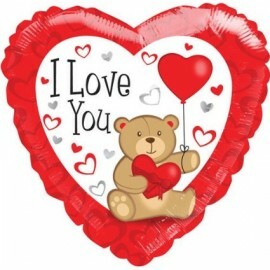 Love Ya. Beautiful Coffee / Tea Cup. 13 Oz Capacity. Black inside with heart design outside. 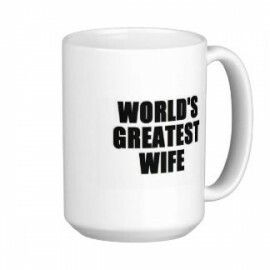 Would make a great Valentines Day gift. Comes gift boxed. 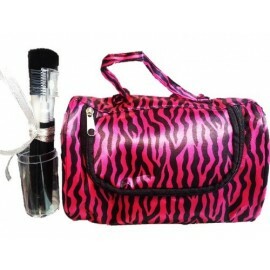 Makeup bag makes a fashion statement to carry women's everyday necessities. Bonus fashion emery board is included. Great conversation piece. 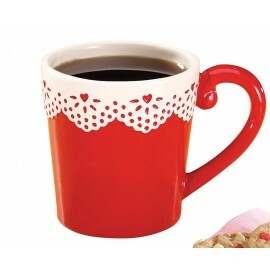 Sweetening every sip, your valentine will love this fancy red mug, romanced with a delicate eyelet and heart design. 12-oz. 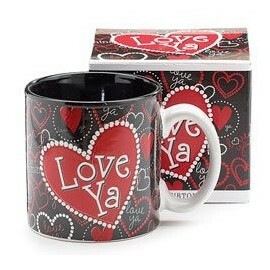 ceramic mug makes a beautiful gift any time of year. Hand wash.